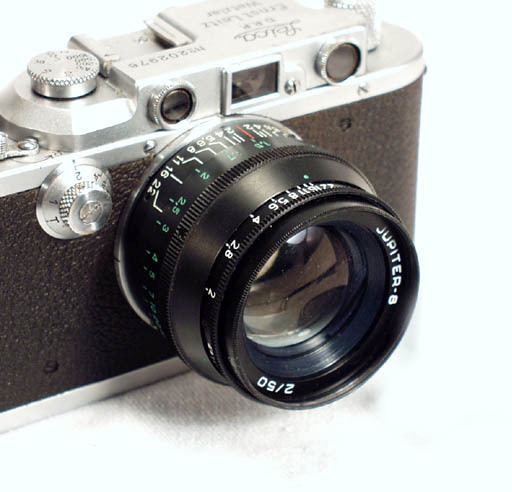 The Industar-26m was a standard lens on the FED-2 (starting from FED-2 type b). 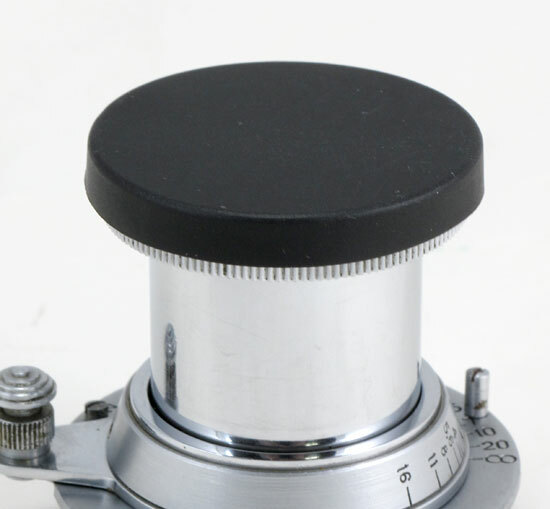 It is sharp and contarsty, with smooth focusing action. 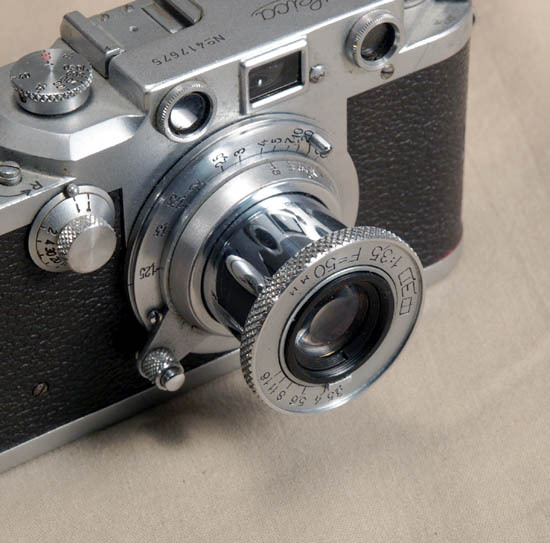 The lens later evolved in the Industar-61, when aperture click-stops were added. The glass is coated; the barrel has chrome finish. 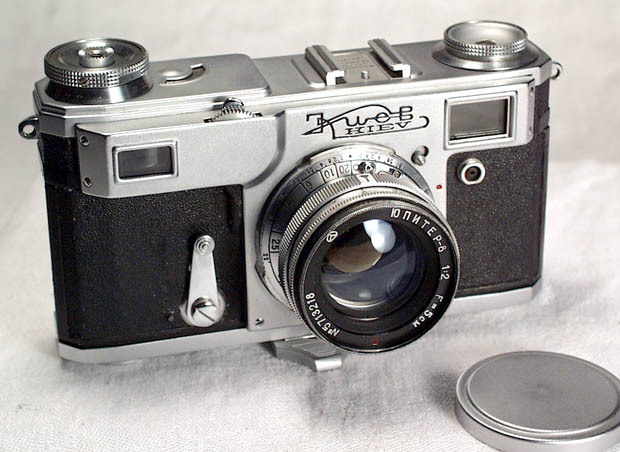 This Industar-26m version has a small focusing lever, similar to the one found on the collapsible FED lens. It was made in the mid- to late 1950's. The lens is in exc.- condition, the glass is clean with some minor cleaning marks. 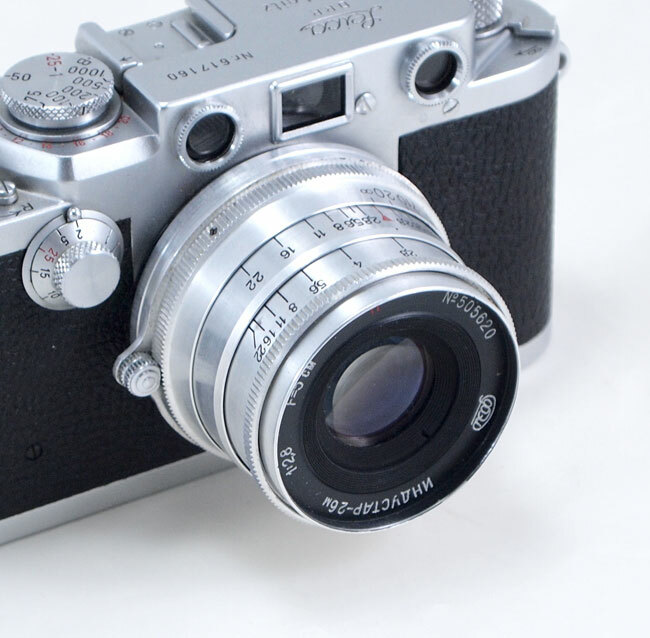 If you have a screwmount Leica (or Leica copy) and want to have a sharp coated lens on it - try this Industar-26m, you will not be disappointed! 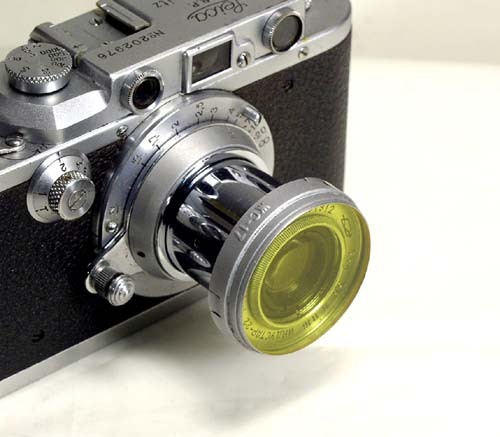 It is shown mounted on a Leica IIIC (not included).